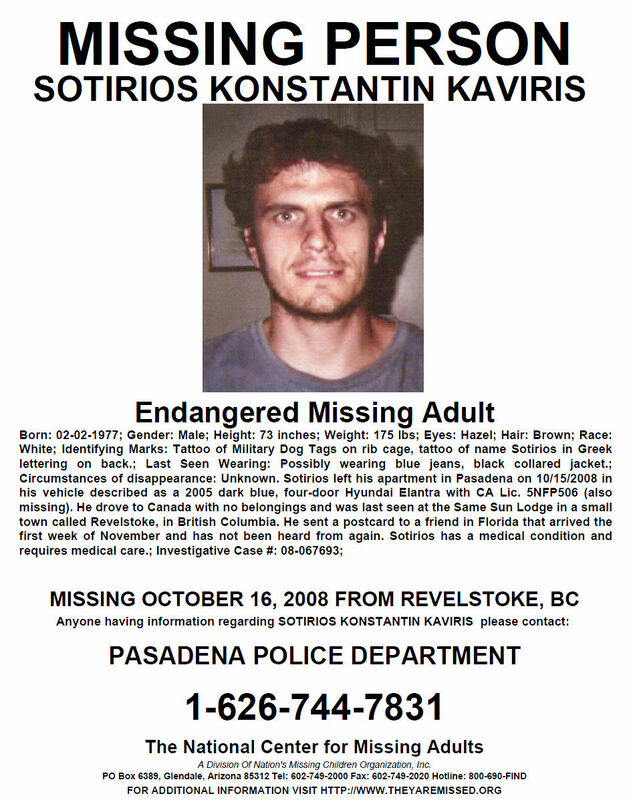 This case goes back a number of years (October 2008) but still deserves attention, as Revelstoke was the last place he was seen and confirmed to have been. 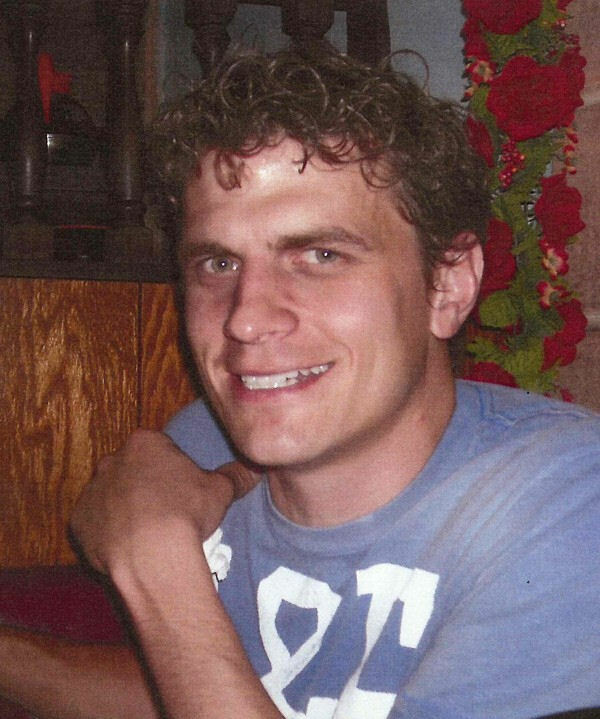 Please note: his vehicle was found here in Revelstoke. 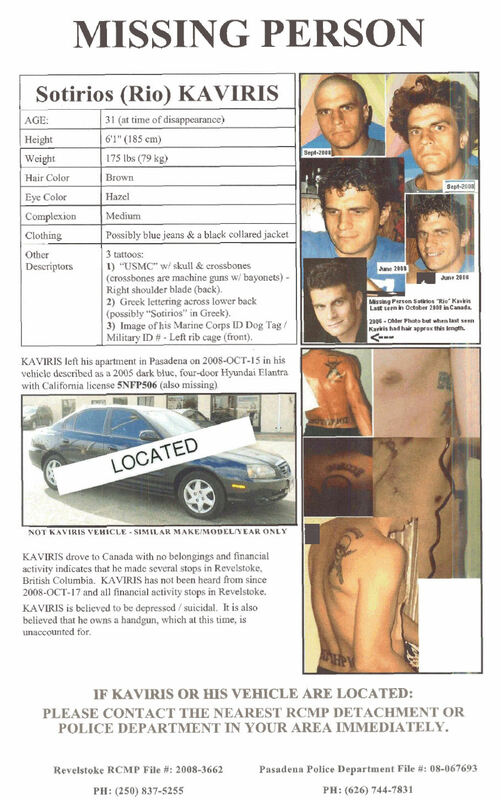 - Sotirios left his apartment in Pasadena on 10/15/2008 in his vehicle described as a 2005 dark blue, four-door Hyundai Elantra with CA Lic. 5NFP506 (also missing). 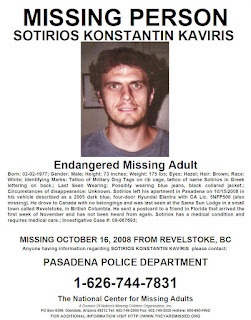 He drove to Canada with no belongings and was last seen at the Same Sun Lodge in a small town called Revelstoke, in British Columbia. 1) His first name 'Sotirios' (spelled in Greek Letters) across his back. 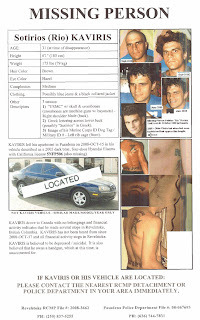 2) 'Dog tags' on left side under left arm. 3) Upper right back shoulder area:'USMC' with image of Human Skull & Crossed Rifles and 'Krazy K'. Times Review story February 2010 Archived (2010) Revelstoke Times Review story regarding remains discovered near Revelstoke. Anyone with information on this disappearance, please contact the Revelstoke RCMP detachment at 250.837-5255, or Crime Stoppers at 1-800-222-TIPS.